I think Pinterest is absolutely awesome for finding recipes. The visual layout is extremely appealing and you can organize your recipes into folders. However, obviously, Pinterest doesn’t work offline. I’ve met plenty of cruisers who keep a paper copy of recipes, often writing things down in a notepad. For a while, I was taking (multiple) screen shots of my favorite recipes to have for offline use. But now I’ve come up with a new solution I’m really happy with. Notes on the iPhone has undergone a recent update, giving this app a lot more functions than before. 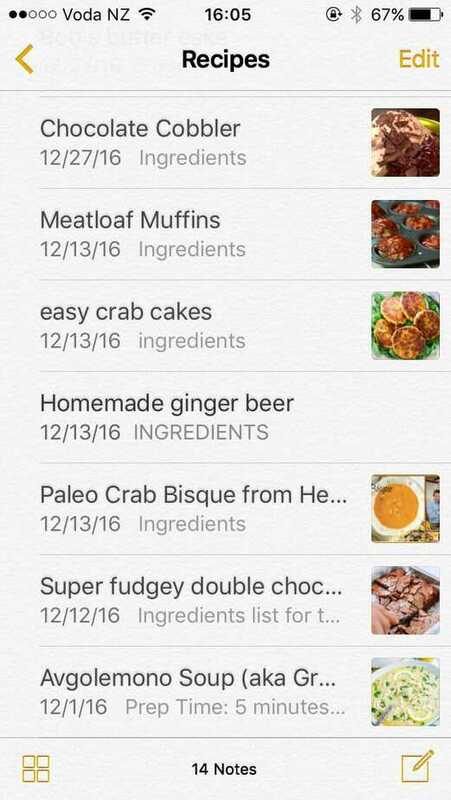 I started a folder called Recipes, and create a new note for each new recipe I want to store. As you can see, each note (or recipe) that has a photo now has a thumbnail available on the list of notes. Also, notes are searchable. So, for example, if I search “bread”, any recipe with the word “bread” comes up, even if it’s in the body or part of another word. 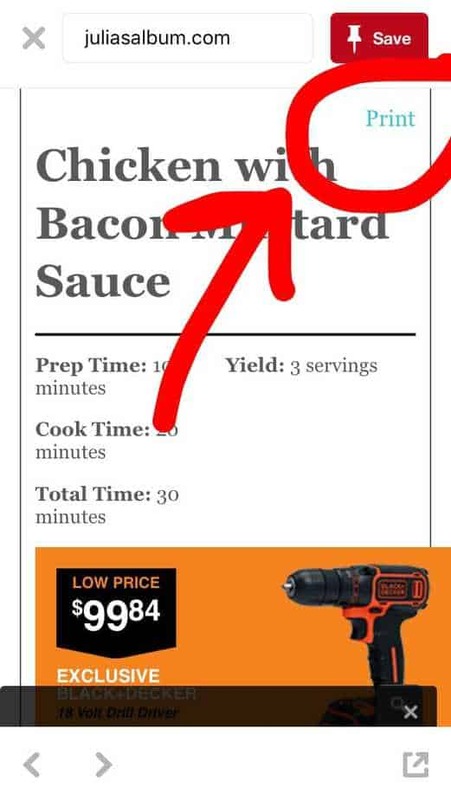 1) Find the recipe you want to save. 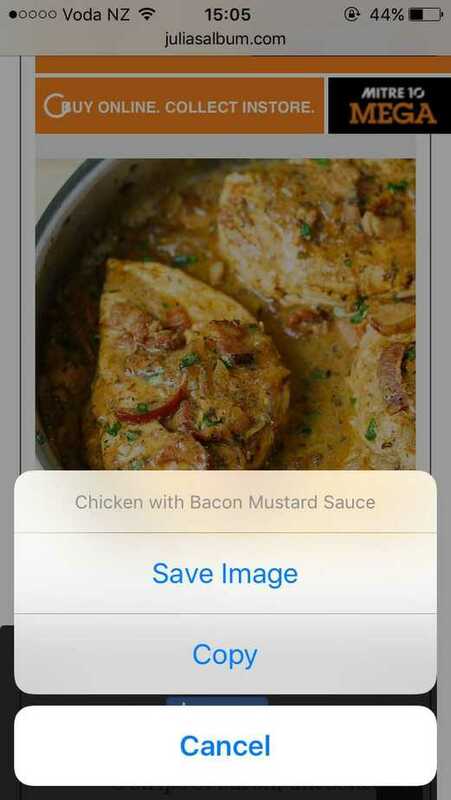 a) Some recipes have a print icon, and will take you to a text only page where you can copy and paste. b) if print isn’t available, you can still copy and paste, but it might come with an ad or two that you can easily remove. 3) Paste into a new note in the Notes app. 4) Find a photo you like, hold down on the photo until you have the option to Save or Copy. Save will put it in your camera roll, while Copy will not. I choose Copy. 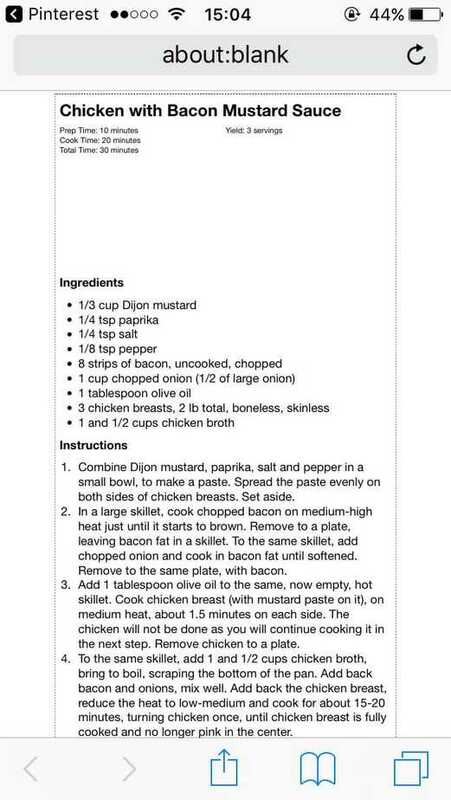 5) Paste the photo anywhere in the recipe. Sometimes I’m just using my iPhone, but if I’m investing a large amount of time in the galley, I pull out my iPad with it’s stand. 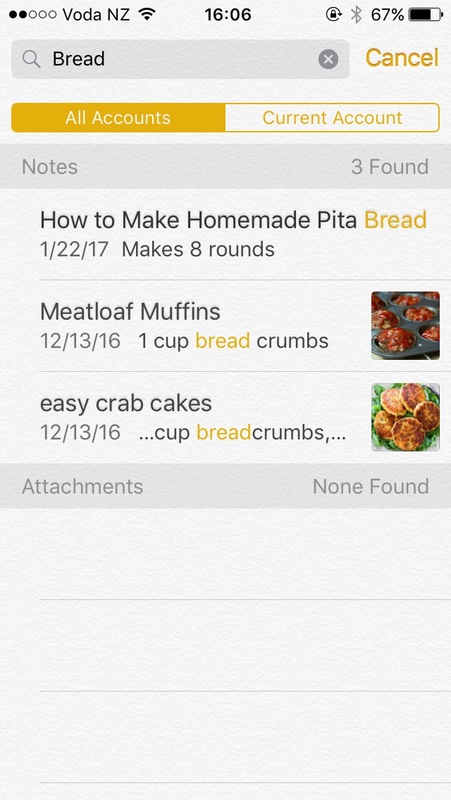 If you have your recipes in a folder in iCloud, your recipes will be synced between devices. How do you save recipes while on the boat? 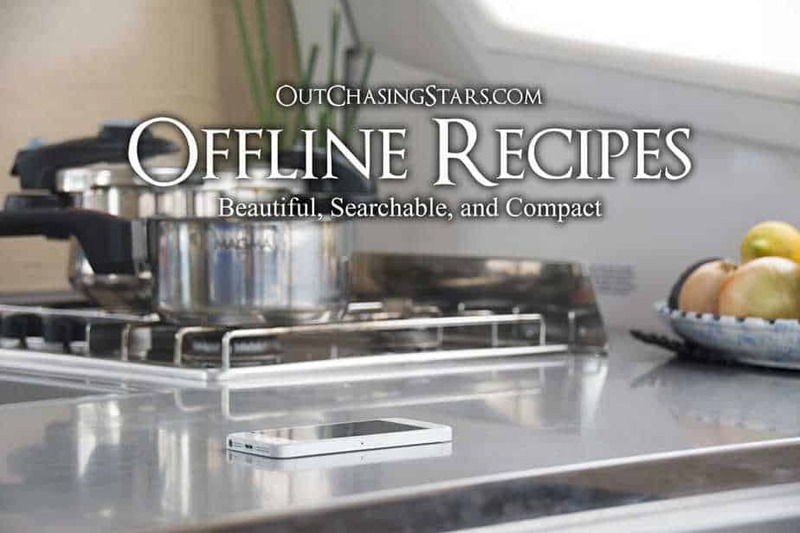 This is a great App for keeping access to all your recipes offline. 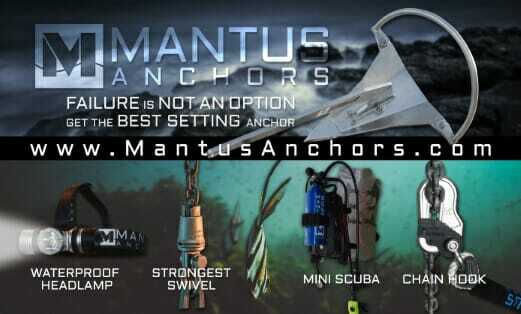 I apologize if this sounds like an ad! I’m new to your blog, one of my clients/friends is the father of one of your friends & we share a passion for what you’re currently doing. Superb tutorial! 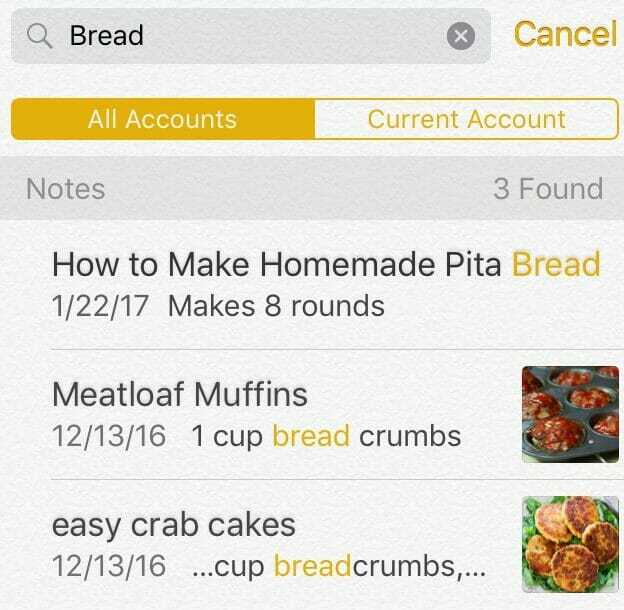 It had never occurred to me to use the Notes function for recipes. It’s a brilliant solution because now I will have them with me whereever I go (even last minute stops at the grocery store) – and can share recipes without even taking a picture. Thanks!! Love ya!! Great way to use pinterest. I also love Paprika – its a recipe App. Allows you to add recipes fro, anywhere and all available offline . Here’s a few recipes you might like. With a little research and creative thinking you can make your own polish that costs a fraction of what you pay for store-bought stuff. In the upcoming May 2017 issue of Practical Sailor, we pull back the curtain on the boat-cleaner con and show you how you can make your own spray-bottle cleaners for far less than you pay for store-bought stuff. If you’ve got a locker full of nearly empty black-streak cleaners, waterline-stain cleaners, mildew preventers, bilge cleaners, and boat soaps, now is your chance to retire them all and reduce your cleaning arsenal to just four or five products that can fit in a small bucket. This is not our first foray into the topic homemade maintenance supplies. A few years back we dug into the topic of homemade bronze polishes and found a couple of concoctions that proved their mettle—so to speak. Here’s an excerpt from that report, as well as a review of our favorite homemade mildew cleaner. Lest you think multi-billion-dollar chemical companies and their geeks in white lab coats have a lock on cleaning your bronze, there are numerous homebrewed cleaning solutions that folks claim have the ability to put a shine on your bronze and a gleam in your eye. We decided to test of a few of these strange brews. Below are three recipes and our test results. The first two were pulled from the Internet, and the third was sent in by reader Scott A. Morris of Clinton Lakes, Ill. Home brew No. 1: Salt and vinegar paste Recipe: Dissolve 3 teaspoons of salt into 1 cup of white vinegar. Add enough flour to make a paste, then scoop the paste onto a clean sponge and polish. Rinse with hot water and buff dry with a soft cloth. Result: This polish worked surprisingly well. While it took a little scrubbing, and we had to let the tougher stains soak for 10 to 15 minutes, it worked well overall and earned a rating of “Good” on our test scale. Recipe: Polish with a soft cloth soaked in a solution of lemon juice and baking soda, or sprinkle baking soda on a slice of lemon and scrub. (We made a paste as in Brew No. 1.) Result: After the mini-volcanic reaction of mixing lemon juice and baking soda settled down, the resulting paste powered off the stains exceptionally well with minimal scrubbing. We tried using a slice of lemon, but the cloth held up better and worked best while rubbing—it was also less messy. This home brew polish earned a solid rating of “Very good” on our test scale, comparable with many of our top commercially produced performers. Recipe: Subscriber Scott A. Morris makes his polish by blending polishing compound (not rubbing compound) with a small amount of silicone car wax—according to Morris, a little experimentation will yield your best mix. Result: “Fair to Good” overall, however, it took a bit of rubbing to clean our nasty bronze. We used a half-and-half mixture. Varying the mixture (say adding more polishing compound for tougher stains) might have produced even better results. Overall, the results in the home brew category were pretty impressive, particularly considering that the first two have all natural ingredients and that all three are economical to make. While the Brews Nos. 1 and 2 cleaned the bronze, they lacked the “luster” of products such as the Miracle cloth. Following up the cleaning with a coat of wax (or even Morris’ Mix) would add shine and additional protection. 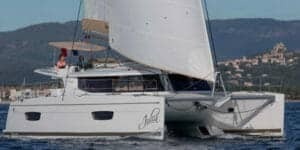 Of all the homebrew recipes we’ve tested, the one we’re most pleased with is our One-Penny mildew cleaner/preventer, which tester Drew Frye has tested extensively on his boat. We tried two formulas creatively named Formula A and Formula B, which cost just pennies to make. Our current favorite is Formula B, which we’ve used keep the interior of a damp and humid Catalina 22 mildew free in Florida for two years now. The anti-mildew formulas we tested each cost about one penny per ounce. Like the other mildew preventers in our test, you use these as cleaners by simply spraying the product on, wiping any excess away, and leaving it on. Before applying to any fabric, test the spray on an inconspicuous sample spot. Much like Concrobium (which it is modeled after), our homemade Formula A removed the mildew from test carpet on board and kept it away, even though the area got wet again. It was also very effective in the moist-environment lab test. Formula B was the second-place performer overall in our test of mildew sprays. It was certainly the best value. It cleaned well, prevented mildew from returning to the carpet, and greatly slowed mildew infection in the moist-environment test in the lab. We’ve used it for two years now on the damp interior of a boat stored in Florida. With a re-application every 90 days, the boat’s interior, which was once plagued with mildew, has remained mildew-free, while untreated samples stored on the same boat have been coated. Thanks Claudia, I’ll check it out!